Aurora, Elgin make top 10 list of best trick-or-treating cities in U.S.
CHICAGO (WLS) -- When it comes to Halloween, some children in the Chicago area are scoring big. Aurora and Elgin made the top 10 list of best cities for trick-or-treating in the United States, according to a study released by finance website smartasset.com on Wednesday. The list was made by looking at the percentage of children under 15 years old, the density of single-family homes, crime rates and weather in any given city. 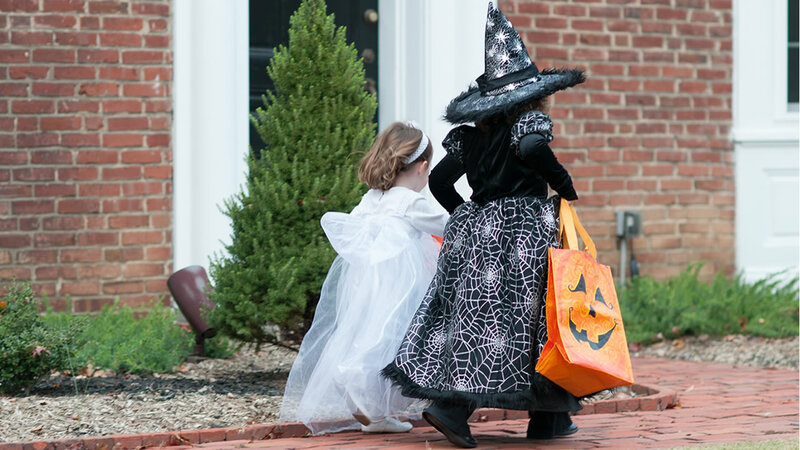 Aurora ranked fourth on the list because it is a safe place to trick-or-treat and is dense in housing, which means running from house to house to fill up a trick-or-treat bag is easier. Elgin ranked ninth on the list because the city has the lowest property crime out of any city in the study, and the average temperature for Halloween is 56 degrees, perfect for trick-or-treating. Seven of the top 10 were Midwestern cities, the website said, with three of the best cities for trick-or-treating being in Wisconsin. The worst state for trick-or-treating is Florida, according to Smart Asset, because of high chances of rain and high average temperatures. Three cities in Florida were at the very bottom of the list for trick-or-treating.